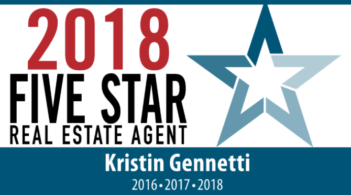 Kristin is a fantastic realtor and we cannot say enough good things about working with her. We were first time buyers in this crazy Boston market, and she was able to offer my husband and I support, guidance and expert advice along the entire way. Kristin was always available to us at all times, no matter if it was a Sunday night or early morning. She was very knowledgeable in all the areas we were looking and knows the market very well. She always kept our interests in mind, pointing out properties that might not meet our requirements and flaws that we didn’t see. She also advised us when we needed to move fast and was always there getting all the paperwork ready no matter what time of day or night. When we needed other pieces of the puzzle such as a home inspector and attorney, Kristin always had great recommendations and suggestions for us. She is not only professional but extremely personable and you instantly feel comfortable working with her. Kristin made our dream home happen and we can’t thank her enough!Kristin is a fantastic realtor and we cannot say enough good things about working with her. We were first time buyers in this crazy Boston market, and she was able to offer my husband and I support, guidance and expert advice along the entire way. Kristin was always available to us at all times, no matter if it was a Sunday night or early morning. She was very knowledgeable in all the areas we were looking and knows the market very well. She always kept our interests in mind, pointing out properties that might not meet our requirements and flaws that we didn’t see. She also advised us when we needed to move fast and was always there getting all the paperwork ready no matter what time of day or night. When we needed other pieces of the puzzle such as a home inspector and attorney, Kristin always had great recommendations and suggestions for us. She is not only professional but extremely personable and you instantly feel comfortable working with her. Kristin made our dream home happen and we can’t thank her enough!